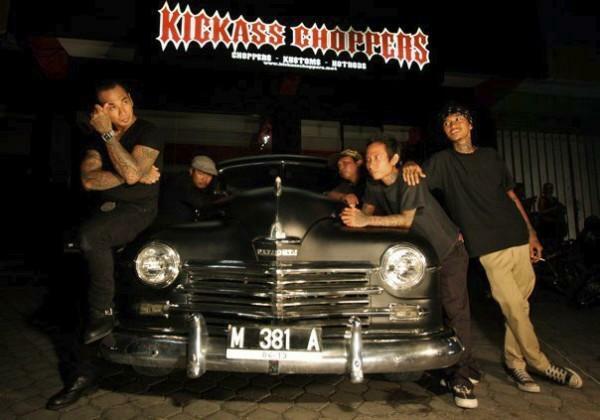 Terbentuk 1997 di tengah keramaian dosa dan peristiwa di Kuta [Bali], Devildice adalah Jerinx [gitar/vokal] dan Kuzz [bass] awalnya memakai nama Culture On Fire dan memilih menjadi band cover version Social Distortion, band punk old skool idola mereka. Dibantu oleh beberapa kawan yang mengisi posisi drum dan gitar, Culture On Fire rajin meramaikan acara-acara musik yang bersifat underground di Bali. Formed in 1997 in the middle of sins and happenings of Kuta (Bali), Devildice was put together by Jerinx (guitar/vocal) and Kuzz (bass), and formerly used the name Culture On Fire, which chose to be cover version of Social Distortion, their favorite old skool rock n roll punk band. With the help of friends in drum and guitar, Culture On Fire entertained the Bali underground music scene. With Jerinx as the drummer and songwriter of Superman Is Dead (SID), gave this band the impression of a ‘halfhearted band’ and comfortable with the status of cover version band. In 2002, Jerinx realized that he had many wrote many songs, which were not the character of SID songs but he could use them as songs of Culture On Fire, which was more dark than SID. He, then decided to be more serious in running his second band. After, there were few personnel changes and the rename of the band to be “Devildice”, eventually Jerinx and his friends released their first album ‘In The Arms Of The Angels’ in 2004. This album was produced independently with their own cash and label. 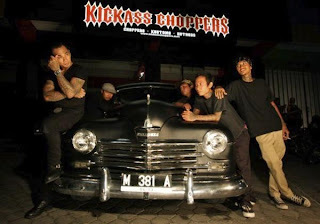 Now (2009), with the formation of Jerinx (vocal/guitar), Kuzz (bass), Cash (guitar), T.R (drum), and Mr.F (trumpet), Devildice has performed in variety of music festivals, charity concerts, skate, surf, tattoos, and bike competitions at stadiums, beach, courts, bars, clubs in Bali. Devildice has also been involved in few environment campaign projects, compilation album, skate video, surf video and many more. In making music and arts, Devildice is influenced by old ganster/mafia movies, kustom kulture, and the exotic of tropical punk.